Our armco crash barrier system is used for protecting against moving vehicles and can be used in various locations including car parks, warehouses and factories. This versatile system can used both inside and outside. CT Safety Barriers Ltd began life as a small manufacturer of Armco barriers and warehouse protection products. From those humble beginnings, we have grown into one of the leading manufacturers and suppliers of off-road safety barriers in the UK. 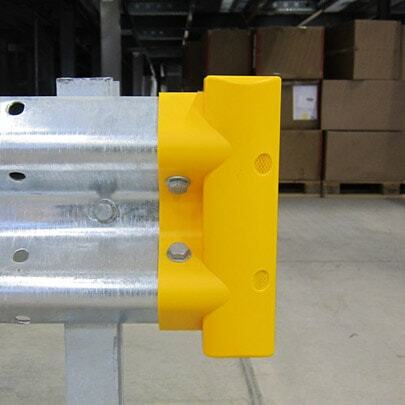 This includes Armco barriers, crash barriers, handrails, bollards and warehouse protection systems. At our purpose built manufacturing facility situated on the motorway network in Yorkshire, we supply our barriers and other products anywhere within the UK and Europe. Our knowledge and skills are augmented by a strong emphasis on performance, quality, teamwork and a “hands-on” management approach. We listen to our customer needs and our aim is always to deliver the most cost-effective, highest quality solution to all projects and client needs. Our commitment to ensuring ongoing customer satisfaction is rewarded by the high level of repeat business we receive from our customers. We like to think our clients enjoy working with CT Safety Barriers because of the friendly and co-operative way we work. Our fully trained Installation Engineers carry out works throughout the whole of the UK and have installed Armco barriers as far away as the Shetland Isles. Our installation teams are fully knowledgeable and experienced in all our products ensuring installations are carried out with the least amount of disturbance to our customers. Our manufacturing facility also has the capability to carry out all types of general fabrications, with the ability to design and manufacture products to the customer’s needs and specification. CT Safety Barriers also manufacture a range of street furniture and site safety products, including telescopic security posts, bollards, steel hoop barriers, palisade and mesh safety fencing systems. 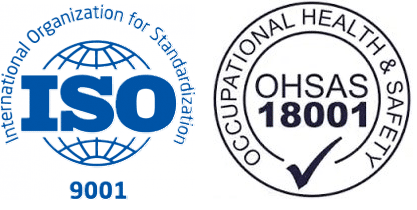 CT Safety Barriers is an ISO 9001 quality management and OHSAS 18001 Occupational Health & Safety Registered company. For further information on all the safety barrier services available from CT Safety Barriers Ltd, call us now on (01977) 666 818 or complete an online enquiry form today.